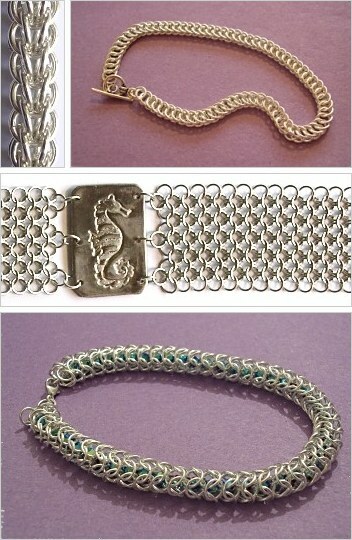 This class is intended for anyone who has attended a chain maille chains workshop, whether run by myself or anyone else. Building on the chains and techniques already learnt we will then move onto six new chains and a flat maille also suitable for jewellery. We will also look at including crystals and beads within one of the actual chains. Note that this is an advanced class and you will need to be prepared to work hard on the day!